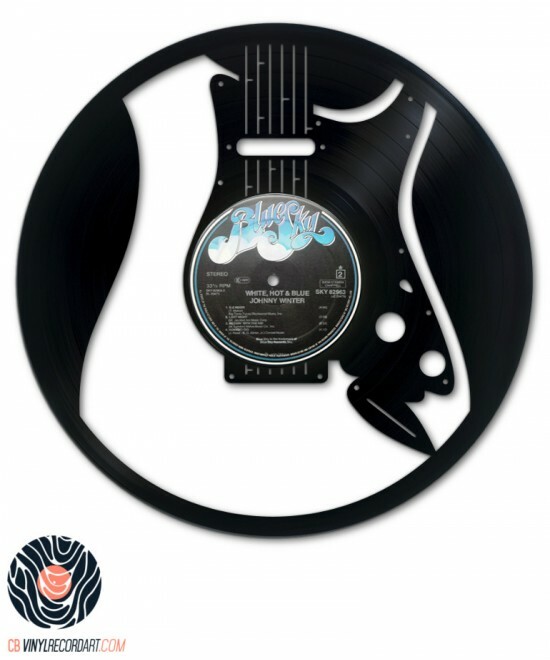 For lovers of glam rock, nothing like a beautiful guitar sculpted on a vinyl record! Jazz lovers; discover our beautiful Jazz guitar sculpted on a recycled vinyl record! Brass instruments that resonate in unison! 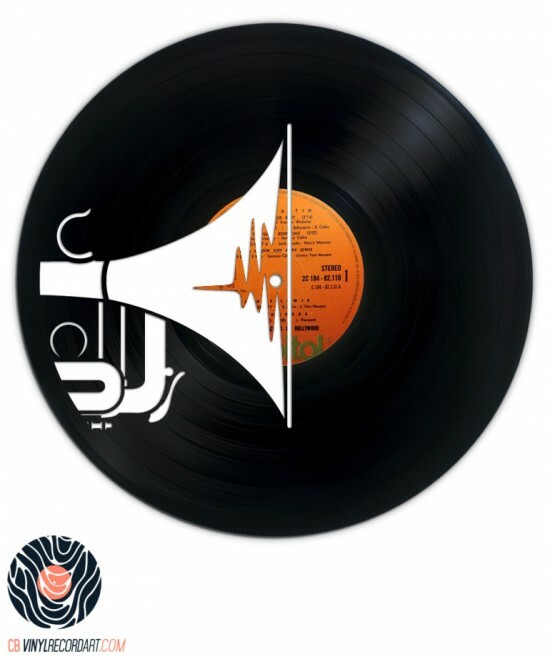 Discover Brass Crew, visual carved on a record! A gang of guitars ready to rock your world on a recycled vinyl record! 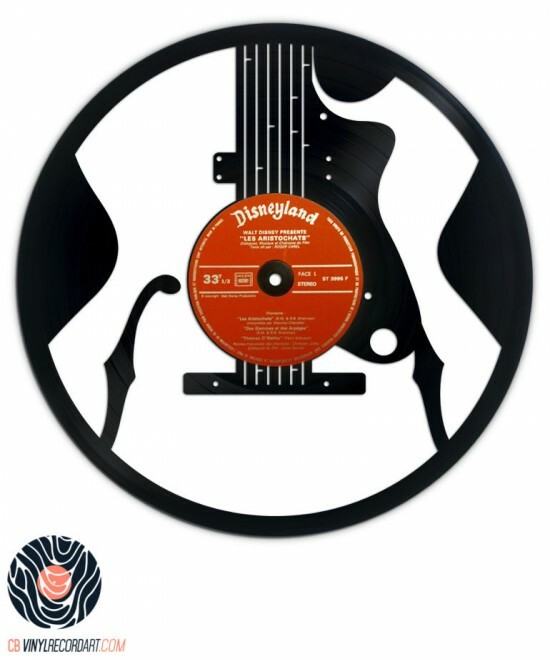 For lovers of rock music, nothing like a beautiful guitar sculpted on a vinyl record! 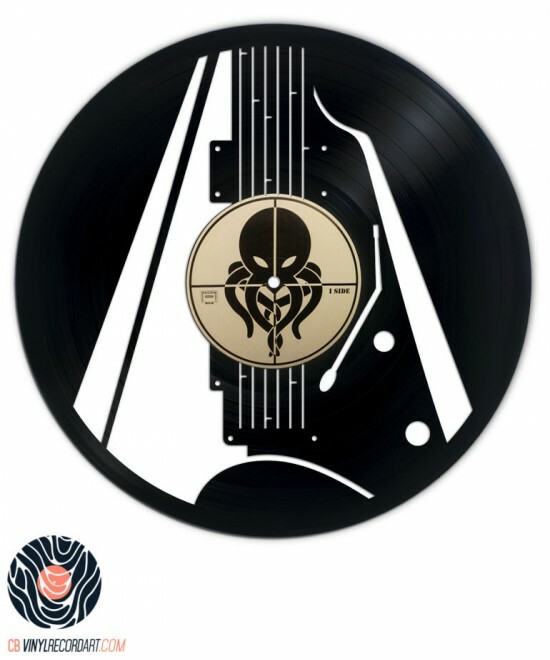 As fine as the air, our guitar is drawn, carved on the surface of the vinyl record! Offer a beautiful bass guitar to the bassist of your group or to all music lovers! 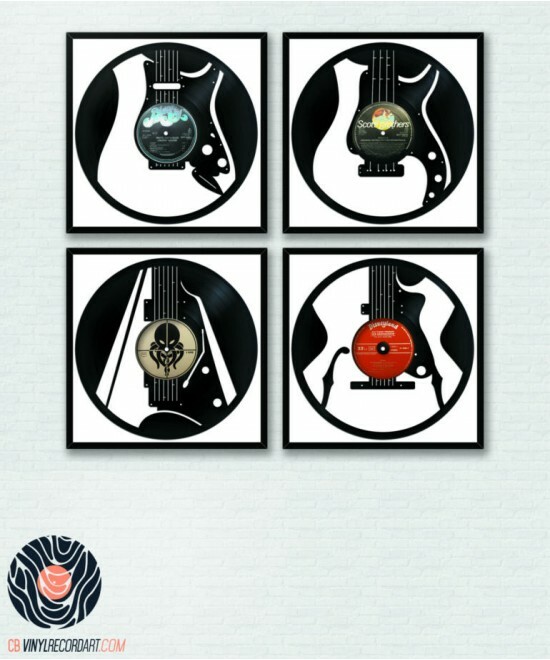 A beautiful pack of guitars on vinyl records for music fans! The music without its instruments would feel quite alone. 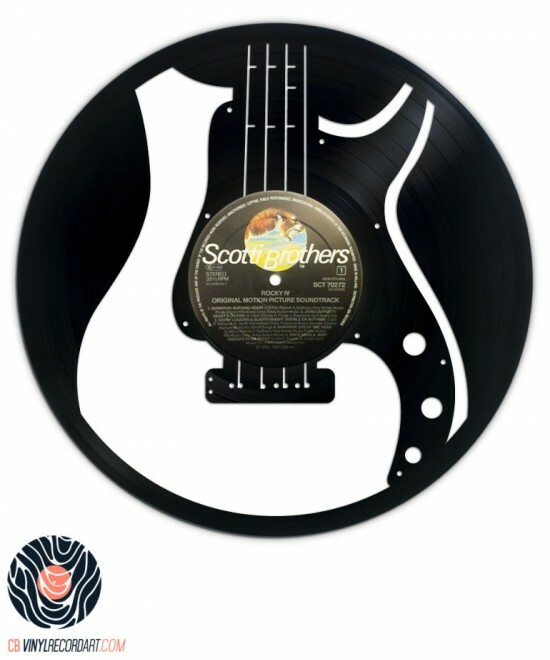 We propose to discover our series of musical instruments sculpted on a vinyl record. 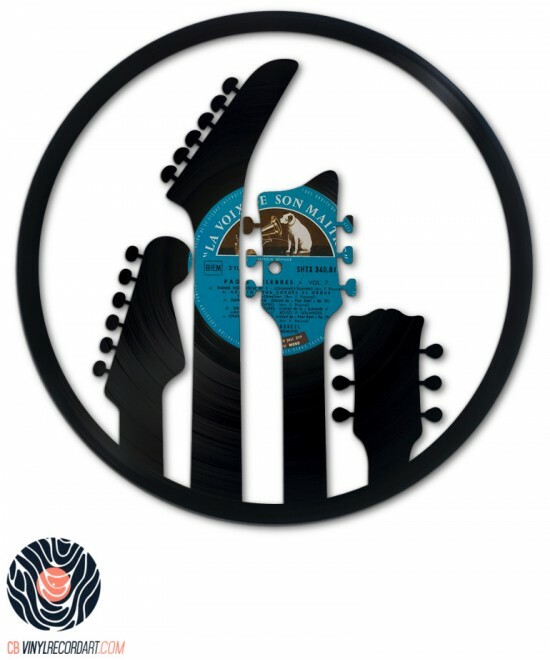 Perfect gift for lovers of both the vinyl support and the musical instruments, our pieces of work will give a modern and vintage touch to your walls. You will find in our shop many visuals of guitars, trumpets, saxophones, etc. which will appeal to all music lovers. 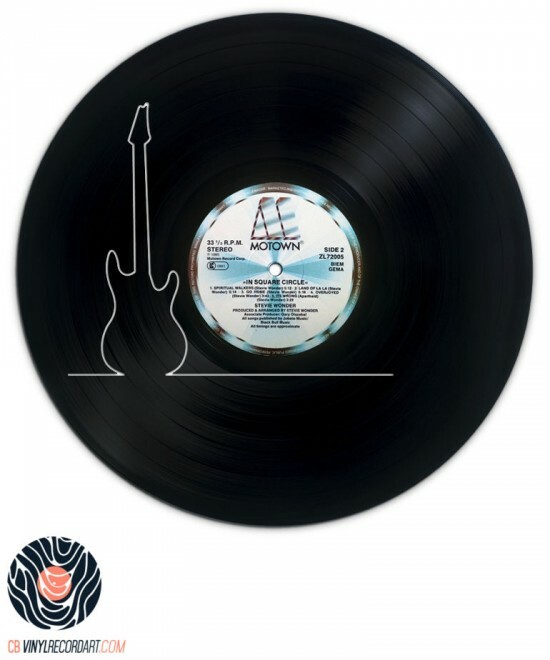 To decorate a recording studio, a practice room, a bedroom, a living room or an office, Cb Vinyl Record Art has created for you this collection of designs around musical instruments and their universe. Electric guitar, trumpet or a jazz guitar carved out from a vinyl record, you will discover on our website original visuals of instruments with curves and warm lines. Treat yourself with an atypical art object in the form of a musical instrument carved on a recycled vinyl record. Our compositions, both modern and retro, fit into any type of interior design.